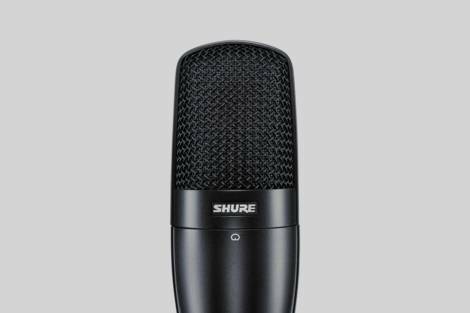 Cardioid large diaphragm condenser microphone delivers exceptional stage and studio performance applications. Cardioid large diaphragm condenser microphone delivers exceptional stage and studio performance applications. Features include a preamplifier for transparency, switchable low-frequency filter, and a -15dB switchable attenuator for SPL versatility. What is the SM27 best suited to? It’s ideal for both professional vocal and instrument use such as lead and ensemble vocals, acoustic guitar, strings, cymbals, woodwind and saxophone. The latest addition to the SM family is equally as comfortable on stage or in the studio. What are the characteristics of the SM27? The SM27 has a flat, neutral frequency response and very low self noise for a natural reproduction of the sound source. It includes a 3-position switchable low frequency filter which helps reduce unwanted background noise or counteract proximity effect and a -15db switchable attenuator for added versatility.